In my 22 years experience at the Los Angeles County District Attorney's Office, I've handled just about every kind of case there is. Most of the time my cases don't make the headlines. Most of the time the only people who show up in court are the victims and the families of the defendants. On this page I'm showcasing a few of the cases I prosecuted that did make the headlines, as well as some that did not. On the eve of October 31, 2016, victim Allison K. waited patiently and dutifully at the West LA apartment she shared with her boyfriend of 3 years. The relationship had been abusive, but Allison had not reported prior violence to the police. October 31 was Halloween, it was also the defendant’s birthday. Defendant Weston returned home late and within moments his cellphone rang. Allison could hear a female voice and questioned the defendant about the call. An argument ensued and as the night progressed it became heated and sadly, violent. Suddenly defendant lashed out and punched Allison in the eye. It was the kind of pain that Allison said she had never experience before, and within moments her eye had swollen shut. Allison’s face was so disfigured that she could not go to work - she was a pre-school teacher and could not let her pre-schoolers see her in that condition. Allison stayed home, using icepacks to try to reduce the swelling, and the pain. Allison did not know the severity of her injury until she sought medical attention a few days later - she had a fractured eye socket. 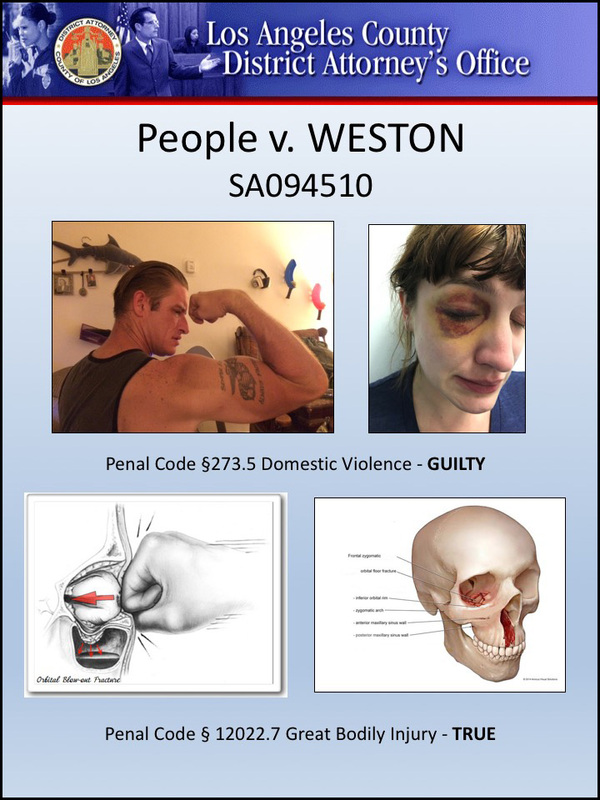 The case went to trial with defendant testifying that the injury was an accident and producing an expert to opine that a fractured eye socket was not ‘Great Bodily Injury.’ The jury did not agree with defendant or the expert and found defendant guilty of violating Penal Code section 273.5, a felony commonly known as ‘domestic violence,’ and the jury also found the special allegation on personal infliction of great bodily injury to be true. On July 19, 2016 defendant James Baker contacted the victim through Instagram. The pair exchanged messages and, after seeing images on Baker's page showing him apparently leading a lavish lifestyle, she agreed to meet Baker near Los Angeles International Airport for a date. But the images on Baker's Instagram account where as fake and phony as the credit cards Baker used to pay for food and alcohol at a restaurant where she became highly intoxicated. So intoxicated that she remembered nothing after leaving the restaurant until the early hours of the following morning when she awoke to find herself lying in a pool of vomit and blood in a strange hotel room. Baker was gone, as were her cellphone and car keys. Her face had been brutally beaten. KTLA Ch 5 reporter Mary Beth McDade tells the rest of the story. This case presented many challenges, none the least of which was a victim who had no recollection of what had happened to her. Thanks to an outstanding investigation by LAPD, surveillance video and other digital evidence was able to fill in the blanks. The jury found Baker guilty of assault by means of force likely to produce great bodily injury, auto theft and credit card fraud. The case made headlines nationally and internationally as it highlighted the dangers that social media presents when 'meeting' people who are not what they seem to be. Here are links to some of the reports on this case. 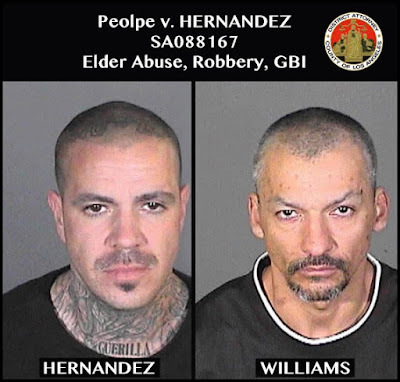 On February 17, 2014 defendant Hernandez together with accomplice Williams, executed a poorly planned but devastatingly violent robbery on a 75 year old store owner. Williams, who punched the defenseless 75 year old victim in the head, never stood trial as he was killed in a car crash while evading police. The victim, a cancer survivor, sadly died before the trial started. The jury was never told why Williams was not on trial - the judge ruled that was too prejudicial. So the trial proceeded without the victim and without the person who brutally attacked a 75 year old man. Thanks to outstanding investigation by LAPD, the evidence showed that Hernandez was the person who planned this crime. Hernandez had been to the store before, and had made threatening statements to the store owner before - all captured on video. 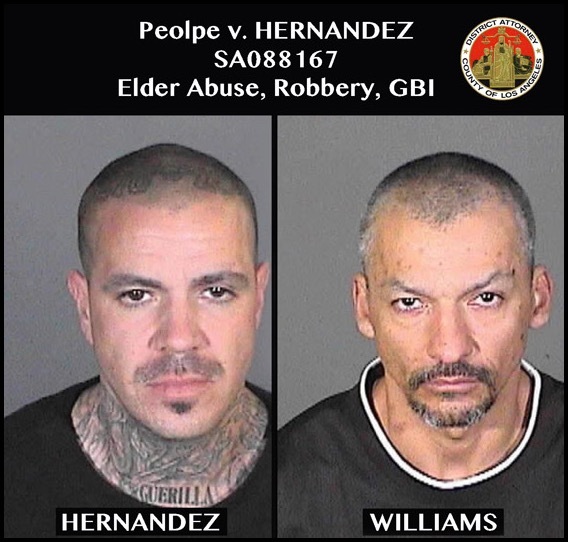 Cellphone records established that Hernandez and Williams were communicating before, during and after the robbery. The evidence overcame the defense put forward by Hernandez, who admitted being present and stealing a few items, but denied any knowledge of the person who struck the victim. Despite the setbacks, the jury saw found Hernandez guilty of Elder Abuse, Robbery and inflicting great bodily injury. In a separate court hearing, the judge found the allegations that Hernandez had previously been convicted of a ‘strike’ to be true. The real estate agent is accused of defrauding dozens of investors in working-class areas of about $2.6 million. To those who met him, Tony Nava Jr. exuded success. He was a Realtor who drove fancy cars and boasted of owning one of the most expensive houses in Montebello. 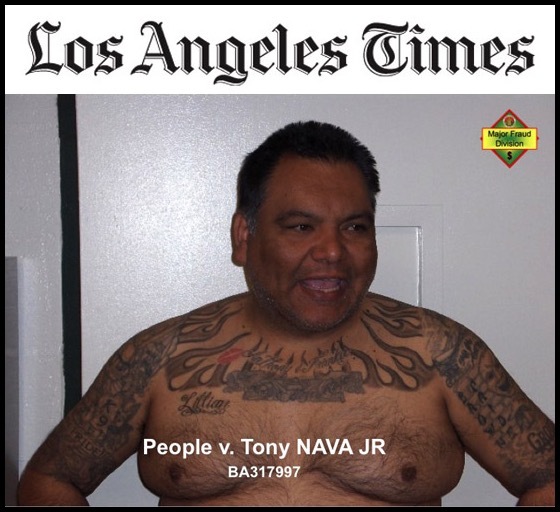 Los Angeles County prosecutors say Nava was a swindler who preyed on people in working-class neighborhoods. They charged Nava with defrauding as many as 80 people -- from housekeepers to a stand-up comedian -- of about $2.6 million. When "investors" got suspicious, they rarely complained. Why? Because Nava made it clear that he had connections to the Mongols biker gang, according to prosecutors. Now, Nava, 42, is about to go on trial in a case that reads like a gangster novel, including a shootout with L.A. County sheriff's deputies that left his brother -- a Mongol -- dead. Investigators are still looking for defrauded investors, and trying to determine whether Nava funneled some proceeds to the gang. Nava has pleaded not guilty to 86 counts of securities fraud. His attorney did not return calls seeking comment. Deputy Dist. Atty. David Berger said Nava told people that by investing large amounts of money with him, they would see big returns. Adrian Ramirez, 30, one of Nava's alleged victims, said he, his parents and grandmother gave Nava more than $200,000. Ramirez said he met Nava about four years ago while taking real estate classes at a realty company in Monterey Park. Ramirez said initial investors like himself would bring in additional investors, often family members. "He told me he was forming a real estate team and wanted young guys who were not tainted by the real estate industry yet," Ramirez said, adding that Nava complimented him for wearing a suit. "He appealed to my ego." The alleged scheme involved persuading people to invest in "hard-money" loans -- high- interest loans to people who couldn't borrow from banks. In the beginning, Ramirez said, Nava offered returns on the investments, which were not large. Soon the investments grew. From 2004 to March 2006, 12 people alone invested more than $780,000 with Nava, prosecutors said. "My father put up about $150,000 from a line of credit off his house," Ramirez said. "I have a very trusting family. They're not business-oriented at all." In some cases, family members gave more than $350,000 to Nava, always in cash, Berger said. "One day he bought a Lincoln Navigator, the big ... extended one," Ramirez said. "It didn't dawn on us right away that we just gave him all this money, and he goes out and gets a Lincoln Navigator." Eventually, people began to get suspicious because they were not receiving investment returns from Nava, Berger said. But he said initially they declined to go to authorities because Nava made it no secret that his brother, Art Nava, was a leader of the Mongols gang. "Nava presented his brother as a stockbroker by day and Mongol by night," Ramirez said. "He was telling us about his brother the Mongol about the time the money was coming due." In March 2006, Nava stopped answering his cellphone and disappeared, according to court records. He checked into the Hilton Garden Inn in Montebello. While there, Berger said, he persuaded some of the hotel staff and guests to give him cash for investments. Then, on Nov. 6, Nava's brother was killed during a shootout with sheriff's deputies in East Los Angeles after a domestic violence call. With his brother dead, some of the people who gave money to Nava began earlier this year to approach prosecutors and the Montebello Police Department. But Art Nava's death also led Tony Nava Jr. to make a fateful decision, Berger said. "He had to get himself protection," he said, which meant solidifying his connection to the Mongols gang. On March 24, Nava was driving a new BMW 745i in the West Covina area when he suddenly got out of the car and hopped into a friend's Chevrolet Tahoe. A short distance away, the Tahoe was stopped by deputies and Nava was arrested on a $2.5-million arrest warrant. Inside the Tahoe, investigators found a black leather vest with the colors and badge of the Outlaw Mongols, and in one of the pockets, a loaded .45-caliber Colt handgun, court records show. "You can't wear that badge unless you are a member of that gang," Berger said during a bail hearing. "Otherwise, you will be killed." While Nava was in custody, Berger said investigators discovered recent tattoos on his arms indicating his membership in the Mongols. Nava faces an additional charge of being an alleged gang member in possession of a gun. Inside the abandoned BMW, investigators said they found ammunition for the gun, as well as a leather briefcase filled with about 70 "investment agreements." Berger said investigators are trying to find the people named in the agreements. The forms suggest that these people -- assuming they exist -- gave Nava about $1.6 million. Nava has changed attorneys, but his onetime lawyer, Attilio M. Regolo Jr., in court described Nava as no threat. Regolo did not return phone calls seeking comment. Neither did Nava's subsequent attorney. LOS ANGELES - A convicted felon who posed as an attorney and preyed on immigrants seeking "green cards" pleaded guilty Monday to 19 felony counts and was immediately sentenced to 12 years in state prison. 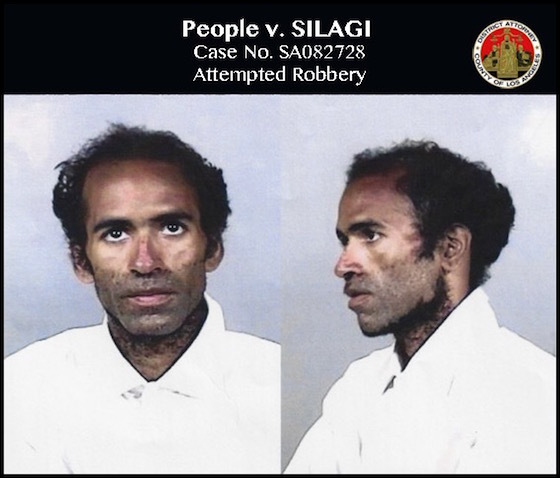 Los Angeles Superior Court Judge Gregory A. Dohi also ordered Ross Stanley Berton, 61, to pay more than $346,000 in restitution to his victims. Berton -- who has been jailed since his Jan. 4 arrest -- pleaded guilty to 15 counts of grand theft, two counts of offering false evidence and one count each of forgery and identity theft, according to Deputy District Attorney David Berger. Fifteen other counts were dismissed as a result of his plea. Prosecutors said Berton represented himself as an attorney and promised to get green cards for people trying to attain legal residency in the United States in exchange for payments of thousands of dollars. The criminal complaint also alleged that Berton threatened some clients that he would call Immigration and Customs Enforcement or police and claim that they had made terrorist threats or would be reported as terrorists. 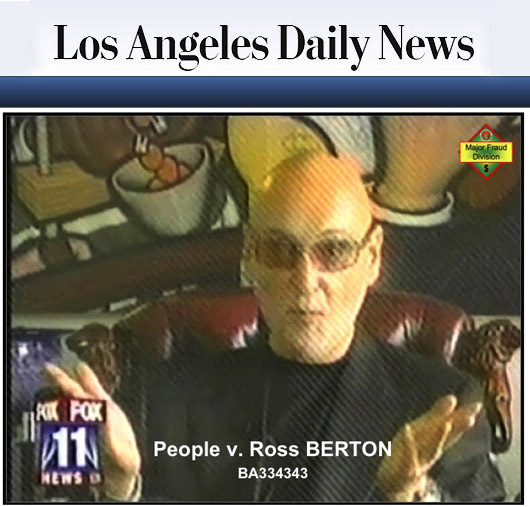 Berton had a lavishly furnished office in the mid-Wilshire area, and victimized people from the Armenian, Iranian, Latino and Russian communities, according to Berger. Friday, March 25, 2016 was Good Friday. It was also a particularly good Friday for those of us involved with LA County Superior Court's Alternate Sentencing Courts, in this case the Drug Court at the Airport Courthouse in Department 73. The occasion was the Graduation Ceremony for three brave young women who, thanks to rehabilitation programs run by the Court in conjunction with the Clare Foundation, were able to earn dismissal of their cases and get a chance to become productive members of society. 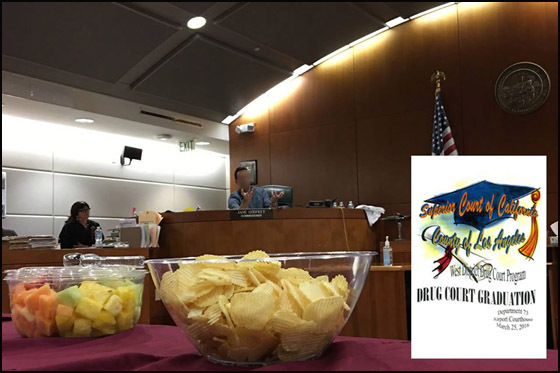 On graduation day, the courtroom looks very different to its typical appearance - tablecloths adorn counsel tables topped with chips, fresh fruit, and soft drinks. Commissioner Godfrey cedes the bench to a guest speaker who tells the graduates of his struggles and recovery. The graduates themselves, sit in the jury box as a sign that they can now be participants in the justice system, as opposed to defendants. Family members in the audience are now proud to see their children, siblings, or partners in the courtroom, instead of ashamed of them. I've been the Alternate Sentencing Court Designee for three years now - that's the title of the prosecutor who represents the DA's Office in these Courts. While it's far from a smooth ride for many if not most, and there are bumps on the road to recovery, it is a worthwhile and rewarding cause - not only for those who graduate, but for the Judge, defense attorneys, and yes, even prosecutors, because the reality is that our criminal justice system is better served when we can prevent crime rather than punish it. So my hearty congratulations to our graduates for turning their lives around and making us proud of them, to their families for supporting them in recovery, to Commissioner Godfrey for her patience and perseverance, to the court staff, and defense bar. This collaborative process only works when all sides of the addiction problem come together to make recovery a reality. On August 22, 2012 the victim, a 33 year old female, was having a late lunch on the sidewalk patio of a restaurant. She was talking on her cellphone when Silagi, recently released from custody, suddenly and without warning, leapt over the railing separating the dining area from the sidewalk and grabbed the cellphone. A short struggle ensued while the victim tried to hold on to her phone, and thankfully a server at the restaurant saw what has happening and came to her aid and pulled Silagi off the victim before she suffered any injury.